This article is about the action. For the song, see S H U F F L E. For the Tip Card, see Shuffling. To shuffle (Japanese: シャッフル Shaffuru) is to have sufficiently randomized a pile of cards, usually the Main Deck. A player cannot check or order the cards when shuffling, or pre-sort the Deck (sorting Monsters/Spell/Trap, etc) without thoroughly shuffling it afterwards. The Deck must be randomized by using an accepted shuffling method (riffle, pile, Hindu, etc.) and then cut. This must be done at the start of every Duel, and after searching a card from it. Each player must thoroughly randomize (shuffle) their Main Deck where the opponent can see. The opponent must shuffle the Deck further and then cut their deck, then return it to the original owner. No additional randomization may be done to the Deck after this point. All card searchers involve shuffling the Deck. However, some card effects involve shuffling the Deck specifically, like "Card Shuffle". 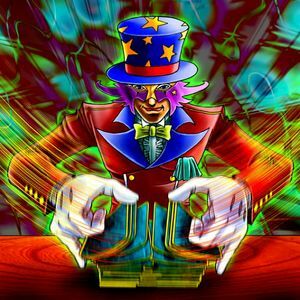 In rare cases, some card may involve shuffling the cards outside the Main Deck, like "Magical Hats". In the manga and original Japanese anime, when Yami Yugi and Arkana dueled, Arkana used the "shotgun shuffle" method at the preparation for the duel, which Yugi noted as a highly discouraged style as it will bend and damage the player's cards. This stands the same in the real world. It was Arkana's willingness to use this shuffle method that made Yugi realize that Arkana used the stripper technique, since he has no qualms damaging his own cards. Later, when Gansley used Ashingray's effect, he used the shotgun shuffle to re-shuffle his deck, though at the time it was a virtual data deck, so no real card would be damaged. This page was last edited on 22 July 2018, at 00:00.